Ahmadu Bello University (ABU) Zaria Division of Agricultural Colleges (DAC) HND, ND, Pre-ND and Certificate Programmes Admission List for 2018/2019 Academic Session. This is to inform all the candidates that applied for the Ahmadu Bello University (ABU) Zaria Division of Agricultural Colleges (DAC) for the 2018/2019 academic session that the management of the institution has released the names of candidates offered provisional admission into its HND, ND, Pre-ND and Certificate programmes of the Division of Agricultural Colleges. 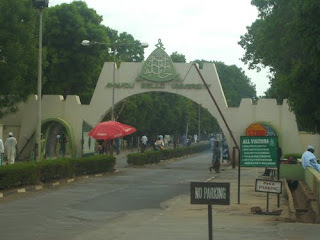 Kindly log on to ABU DAC admission status checking portal via http://dac.abu.edu.ng/eforms/admission.php. Finally, click on ‘Check Admission Status’ to access your DAC admission status. Admitted candidates are to commence registration immediately.